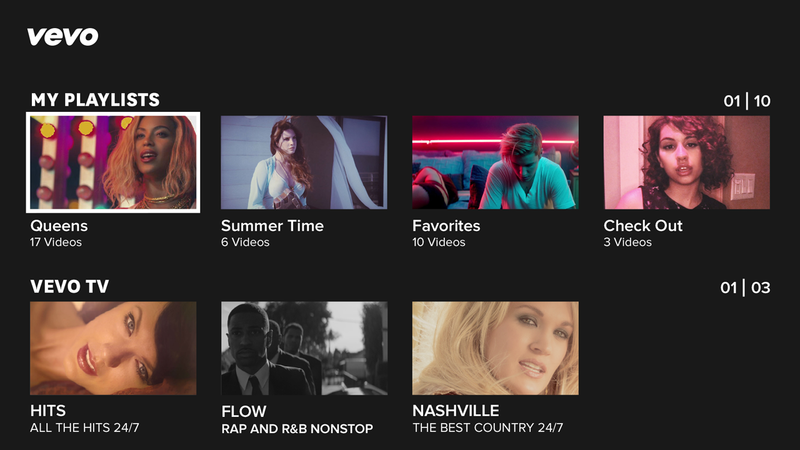 Watch your favorite music videos and discover new ones on the VEVO Roku channel. Access VEVO's entire catalog of 75,000 music videos from more than 21,000 artists. Lean back and enjoy videos with continuous video play, view your VEVO playlists or watch VEVO TV.VEVO TV is a 24/7 channel made by music lovers for music lovers, no algorithms allowed. 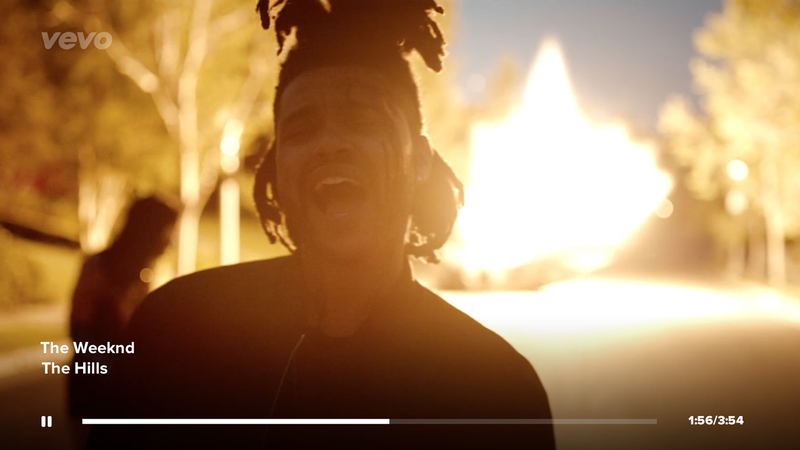 VEVO TV: Always On.About VEVOVEVO is the world’s leading all-premium music video and entertainment platform. 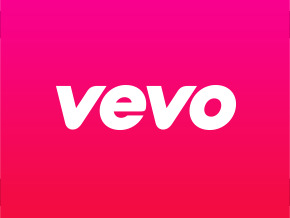 VEVO is available in the United States, Australia, Brazil, Canada, France, Ireland, Italy, New Zealand, Spain and United Kingdom through VEVO.com, the mobile web, Mobile and Tablet Apps (iPhone, iPad, Android, Windows Phone), Connected Television (Xbox, Roku, Boxee) and user embeddable video players. VEVO TV, an always-on broadcast-style music and video channel, is also available in the US and Canada within VEVO.com and apps for iOS, Android, Windows Phone, Xbox and Roku. 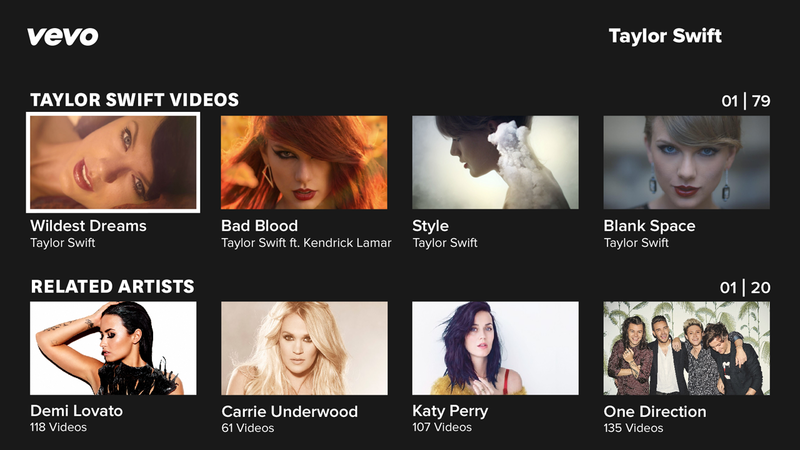 In various territories, VEVO powers music videos on artist pages across Facebook, as well as syndicates to dozens of online sites, including AOL, BET, CBS Interactive Music Group (including Last.fm, Metro Lyrics and MP3.com), Disney Interactive, Fuse.tv, Univision, Viacom Media Networks, Wenner Media and Yahoo! Music. Additionally, through a special partnership with YouTube, VEVO is accessible in over 200 markets, expanding the platform’s reach around the globe.